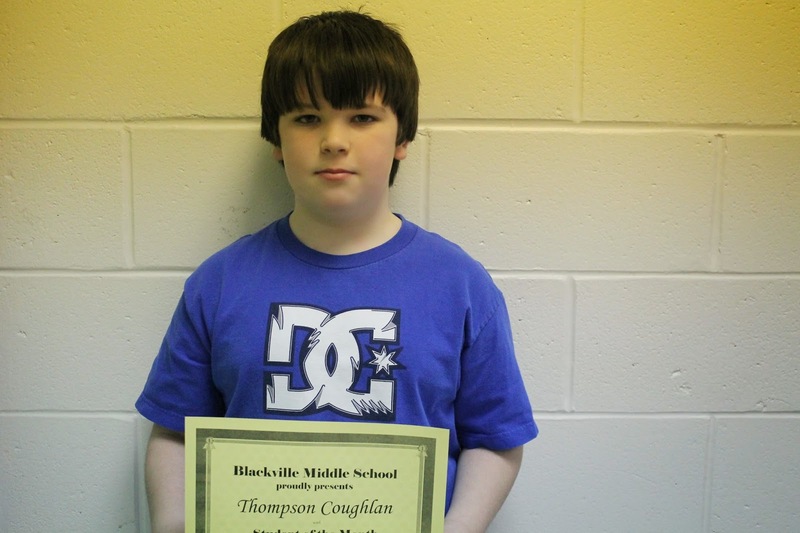 Student of the month for Mrs. Moody's homeroom class is Thompson Coughlan. Thompson is hard working, shows respect for others and has a great attitude. 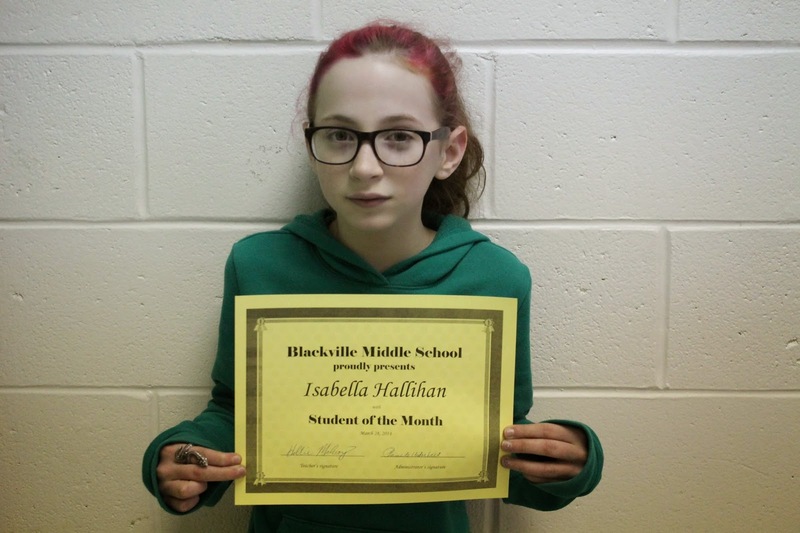 Student of the month for Ms. McEvoy is Isabella Hallihan. Isabella is hard working and has made outstanding efforts. She also shows respect for others. 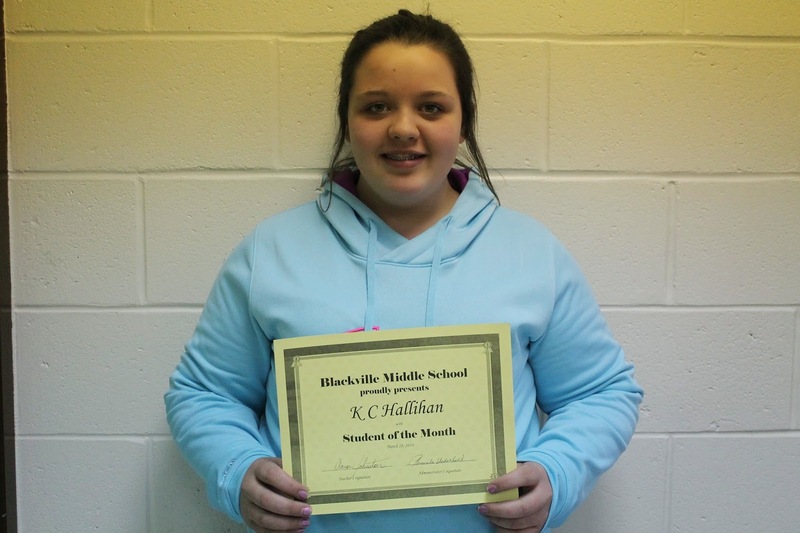 Student of the month for Mr. Johnston's homeroom class is KC Hallihan. KC is hard working, has an outstanding effort and has great academic achievement. Student of the month for Mrs. Waugh's homeroom class is Christopher Underhill. Christopher is hard working, especially kind and helpful and makes outstanding effort. 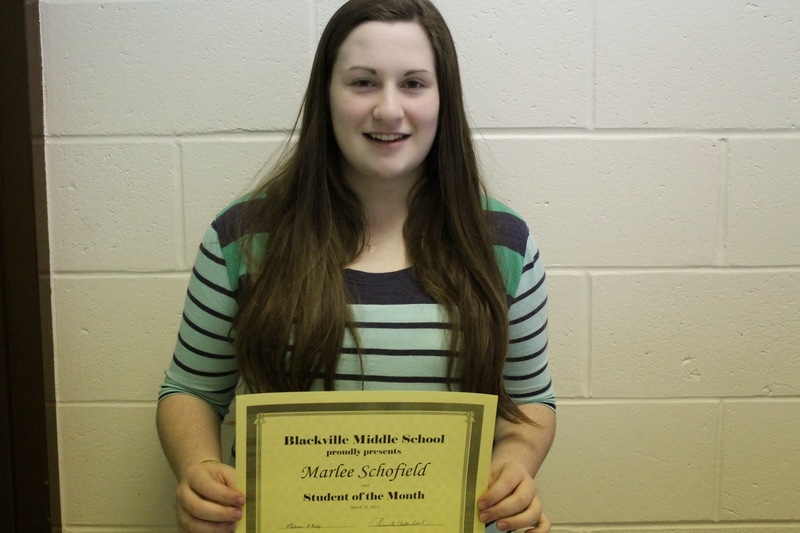 Student of the month for Mrs. O'Keefe's homeroom class is Marlee Schofield. Marlee is hard working, especially kind and helpful, thoughtful, shows leadership skills, has an outstanding effort and shows lots of respect for others. She is also known as a great student. 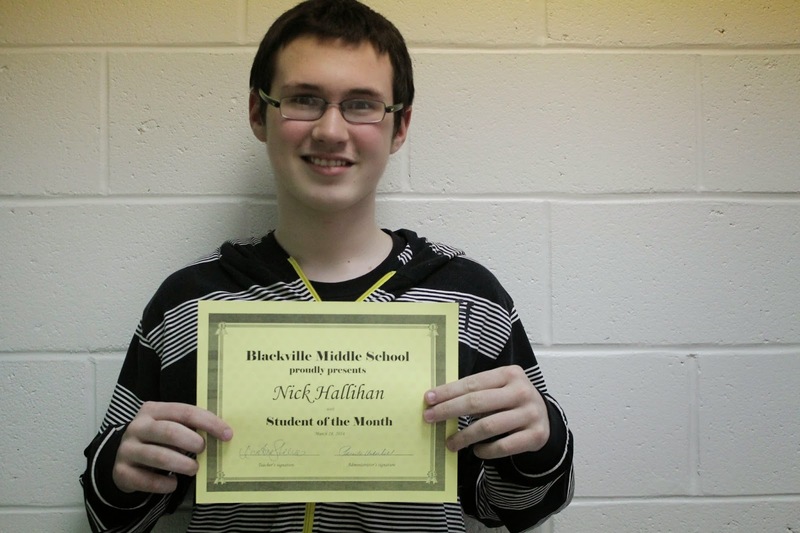 Student of the month for Mrs. Steeves's class is Nick Hallihan. Nick is hard working, has an outstanding effort and a great academic improvement.